Let's face it, today's building and infrastructure projects are complex. Time and cost overruns are often due to unresolved conflicts between disciplines and not having access up-to-date information. These complex projects require better coordination and collaboration across disciplines, companies, and locations – and project team members need accurate, up-to-date information. Essentially they need a single source of truth for BIM, and that is where BIM 360 comes in. So how can BIM 360 help improve your coordination and collaboration process to prevent issues and drive higher quality and profitability? By using Navisworks with BIM 360, you can ensure that everyone on the team has access to the "single version of the truth," collaborate and connect with the rest of the team for collaborative project review and coordination workflows. This integrated BIM 360 solution gives you and your team access to the most up-to-date project data in the cloud, anytime, anywhere. There are different points of access tailored for specific roles, such as direct access from desktop apps for designers and VDC managers, and mobile access for project managers, clients, and field personnel. It's important to know that Navisworks and BIM 360 share the same core technology for large model viewing, navigation, and clash detection. If you run a clash test in Navisworks and the same test in BIM 360, you will get the same results. 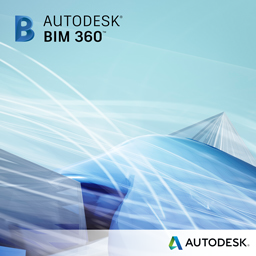 Navisworks and BIM 360 share the same data structure – which supports round-trip data exchange throughout. The first approach is to take the aggregated project model in Navisworks and share it with the rest of the team in BIM 360. To do this start by bringing the various discipline models together in Navisworks, just like you do today. Then, use the BIM 360 add-in app to "glue" the model to BIM 360. This provides access to the latest model and intelligent model data for the rest of the team. BIM 360 enables collaborative project review workflows, where team members can have "one-click-to-BIM" access to the model, and easily view and navigate the model and add markups and comments. The second approach is to use BIM 360 to gather and manage the models from the team and then bring those models into Navisworks for coordination and analysis. You can use BIM 360 to collect the models from your team and centrally manage these models with version control, activity tracking and notifications whenever a new model or version is added. Once the models are in BIM 360, you get all of the other benefits with anywhere access and project review and markup for the rest of the team. And customers using BIM 360 are saving over 8 hours a week, simply because they no longer need to manage files and manually distribute updates. Inside Navisworks use the BIM 360 add-in to open the latest models from BIM 360 Glue. Beyond leveraging BIM 360 for anywhere access, the next approach is to empower the team to coordinate between themselves, which helps them to resolve many of the smaller, obvious clashes before the weekly coordination meeting. With BIM 360, the team is empowered to continuously coordinate between themselves and resolve clashes quickly. The continuous, collaborative team-based coordination greatly reduces the number of clashes to review at the weekly coordination meetings, and lets the team focus on what's important. One customer who has taken this type of team-based approach is WSP. They use Navisworks for formal clash detection, and publish the models to BIM 360 for team-based coordination and collaborative project reviews. They also use BIM 360 to provide easy web and mobile access for project stakeholders. There are several options to get access to the model offline. The BIM 360 Glue mobile app caches models on your iPad so you can view these and even create markups while offline. Opening the model from BIM 360 Glue in Navisworks lets you keep a local copy which gives you offline access for your desktop (or rather laptop/notebook). And finally, you can take the approach of using BIM 360 for all project clash detection and collaborative coordination, and Navisworks for advanced workflows such as model-based quantity takeoff, 4D animated timelines and develop stunning renderings. Clayco are saving 1.7 hours per week per person by using BIM 360 for mobile access to BIM and field data. And by using BIM 360 for team-based coordination, they have reduced their coordination meeting times to less than 2 hours! As you can see there are various options that will help you to connect your project team. The above provides the menu of options to choose from so that you can meet each project's unique needs. We've recorded the "Navisworks and the Glue connection webinar" in case you've missed it or would like to share it with a colleague so you can see these workflows in action. Now all you need to do to immediately find out how this works in practice is to sign up to a 30 day trial of BIM 360 Glue.